UPDATE: Nissan has been charged for making false statements in its annual reports (12/10). The Carlos Ghosn saga has taken a dramatic new twist as Nissan itself may be charged for financial misconduct. 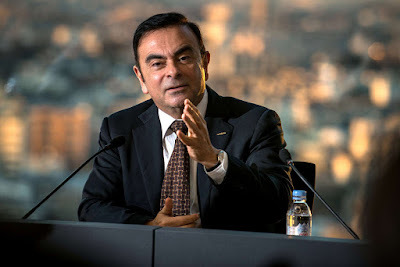 A report from Reuters says that Tokyo prosecutors are planning to indict former Nissan Chairman Carlos Ghosn, Representative Director Greg Kelly as well as the carmaker itself for financial misconduct on Monday, December 10, 2018. This comes as the 22-day detention of Ghosn ends on Monday—the maximum time allowed by Japanese law to detain people without formal charges. Even if Ghosn and Kelly aren’t indicted, it’s expected that they won’t be walking away from prison. The Nikkei via Reuters reports that they are likely to be charged on the same day because of misreporting compensation for three additional years thus starting another 22-day detention period. Individuals arrested in Japan are held mostly incommunicado in small, sparse cells with an exposed toilet for as many as 23 days, depending on whether it was the police or prosecutors which arrested them. The Japan Federation of Bar Associations, the United Nations and human rights groups have criticized such practices. Critics have also questioned Japan’s 99.9 percent conviction rate. In addition, Ghosn may be considered a flight risk and denied bail. In fact, prosecutors are reluctant to grant bail to those who insist on their innocence says the report. For their part, Nissan says they are cooperating with investigators and had been preparing for the possibility of charges since the allegations against Ghosn and Kelly first emerged last month.